South Korea’s portal giant Naver ranked No.1 in the nation’s electronic commerce platform, Mirae Asset Securities said Tuesday. 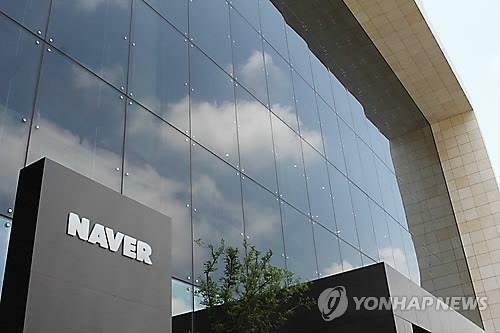 The brokerage said in its report that Naver took nearly 20 percent of the market share in the second quarter of this year mainly thanks to its diversity of shopping channels and its easy-to-use online payment system. Naver’s total e-commerce revenue for the cited period reached 80.8 billion won, a 21.1 percent increase from the first quarter, according to the report. Mirae said Naver was able to boost its e-commerce transactions on the strong back of synergy created via diverse shopping channels and Naver Pay. “Naver’s simple layout that compares the price of products, including ones users can purchase via Naver Pay, along with the ‘020 platform’ that connects offline and online stores, is pointed as a contributing factor for the portal giant’s outstanding e-commerce revenue,” a market analyst said. “Amazon dominated the e-commerce market in the U.S. by providing a wide variety of products, affordable pricing, an easy payment system and fast delivery, which Naver resembles.” said Kim Chang-kwon, an analyst at Mirae Asset Securities. Predicting a rosy outlook, he added that the portal giant will expand further to dominate the market as an e-commerce giant.